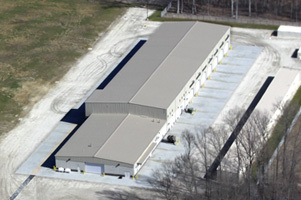 Army Tactical Equipment Maintenance Facility – Fort Eustis, VA - Curtis Contracting Inc. 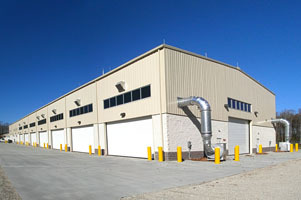 The project consists of the design and construction of a 28 acre site, a 58,000sf TEMF , a 8,000sf organizational storage facility, a hazmat building, a POL building, hardstand area, and parking lots. The project is a LEED silver project, and includes an overhead bridge crane, radiant floor heating system, and a 10,000sf second floor administrative area.